There are a variety of pipeline pigs developed for many different applications. It can be tough to determine what type of pig is best for a particular project, and this is where Inline shines! Collectively, our team of experts has over 30 years of industry experience. We’ve assisted hundreds of customers globally to identify the best pipeline pigging equipment and plan for their project, while educating them on the benefits of continued pigging programs. Foam Pipeline Pigs: This pig is the most basic type of pig. Its purpose is to remove debris or liquid (dewater) from the pipeline. Foam pigs come in many shapes and sizes, all of which are designed for different applications and purposes. Bare Foam & Coated Pipeline Pigs: This pig is used for general cleaning, batching and proving. The Bare Foam and Coated pigs are commonly used after construction as they are extremely flexible. 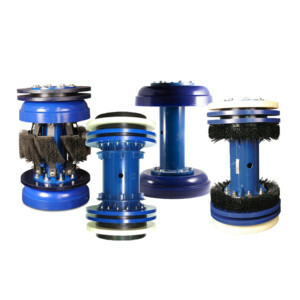 Power Brush Pig®: This pig has brushes that effectively remove stubborn material, such as corrosion deposits, from the inside of a pipeline. Foam Disc Pig: This pig was designed by Inline for the efficient removal of liquids, such as hydrotest water. Available in a large size range, foam pigs play an important role in the safe cleaning and proving of pipelines. 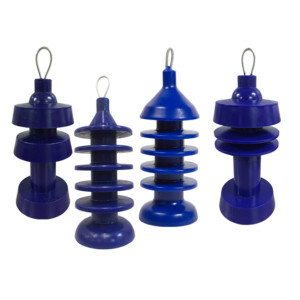 Mandrel Bodied Pigs: These pigs are designed with a metal body that can be customized with replaceable discs, cups and/or scraper brushes or gauging plates that are bolted in place. Disc pigs such as the BD6 are ideal for liquids and wax removal. 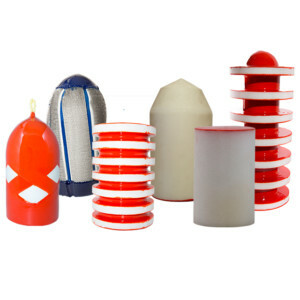 Cups are added where extra sealing or wear resistance is required and are particularly effective for accommodating pipes that are out of round. Inline’s ISTE pig consists of brushes, cups and discs and is very efficient at cleaning, liquids removal and particularly effective the removal of black powder. Specially designed pencil brushes on Inline’s Pit Cleaning Pig® are designed to clean corrosion pitting and black powder removal. Urethane Pigs: A more flexible pig body, such as the Uni-Cup Pig®, is designed for cleaning, wax removal and liquids displacement, but are manufactured as a one-piece construction. All of Inline’s urethane products can be manufactured using Maxithane®, Inline’s proprietary long lasting, wear resistant formulation of polyurethane. Inline stocks an extensive inventory of pipeline pigs, as well as tracking and signaling equipment that is available for immediate distribution. Live chat, email or call us at 888.973.0079/281.401.8142 for assistance with your current or upcoming pipeline pigging project.